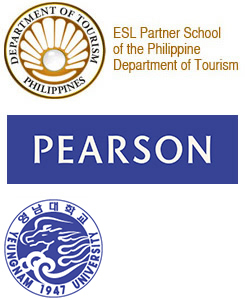 The language program offerings also became more diverse. Currently, foreign language classes are also being taught. Camp students do not only get to learn English in the four walls of the classroom but are given ample opportunities to experience mini-internships or exposure trips, travel to different parts of the country and interact with other nationalities through social nights and other events. This year, the blended learning program was launched and is currently being availed by non-degree and degree-bound students. aid students in achieving their desired language proficiency band, skills development and communicative competency. help students who are learning foreign languages and other academic courses reach their personal, educational and professional goals. aid English learners to excel and develop a sense of fulfillment in their linguistic, academic and social encounters. After undergoing a foreign language or academic course at the Tutorial and Language Center, the students are expected to be productive, receptive, fluent and accurate writers and speakers of the language. The students shall also be able to successfully participate in academic and social discussions and express their ideas confidently. Most significantly, they shall be active listeners, speakers, readers and writers.